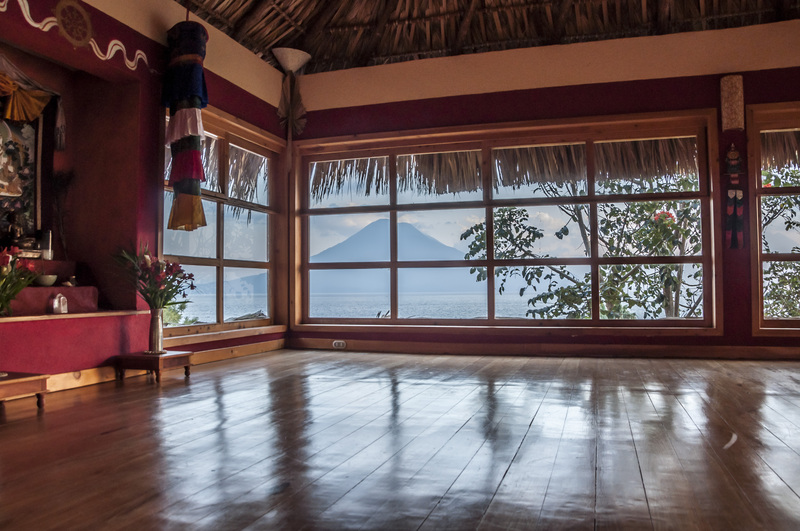 Rising up out of the lush mountain forests of Guatemala, these healing waters and retreat center are encircled by the beauty of three sister volcanos. 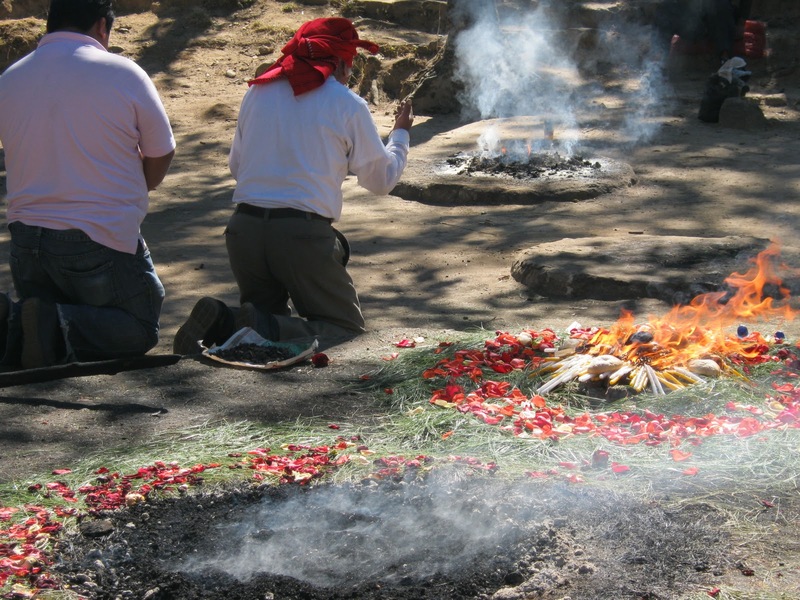 This location has been a nourishing and healing center since the time of the ancient Mayan culture, and is recognized as one of top destinations in the world for seekers on spiritual retreat. 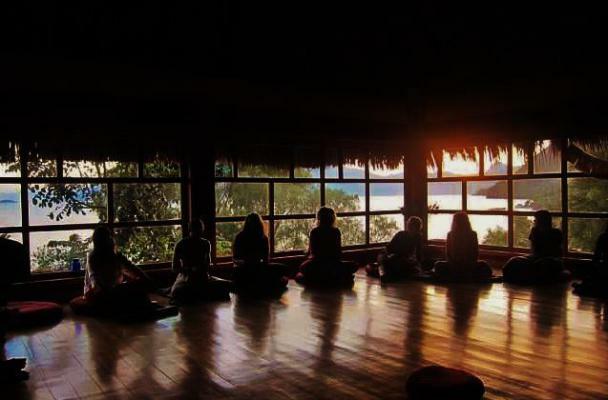 Be held in Grace of the Heart with daily yoga sessions in the Blue Tiger Temple, teachings and self-healing practices of the heart (Bhakti), a water ceremony on the banks of Lake Atitlán, 3 amazing vegetarian meals a day, restful accommodations, shamanic journey work, meditation, an excursion across the lake to visit the local peoples and culture, journaling, and the option for healing massage and energy healing work. All is included in the retreat except your airplane flight and one-one healing work or massage. 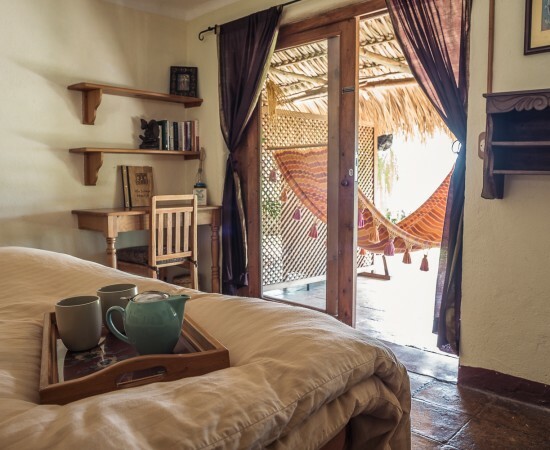 Villa Sumaya is an eco-conscious, family-run, full-service retreat center and accommodations featured in Taschen’s Great Yoga Retreats. 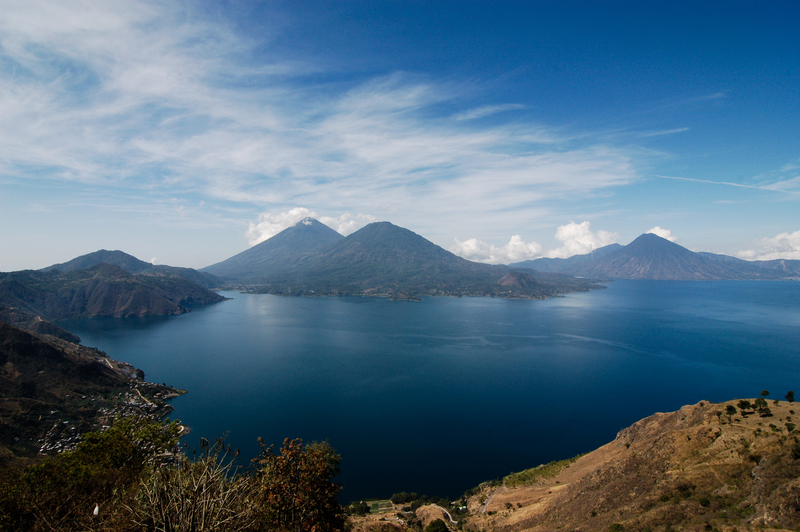 Set in the heart of the Mayan Highlands on the magnificent shores of Lake Atitlán, you will enjoy uninterrupted vistas of the lake and its three stunning volcanoes. 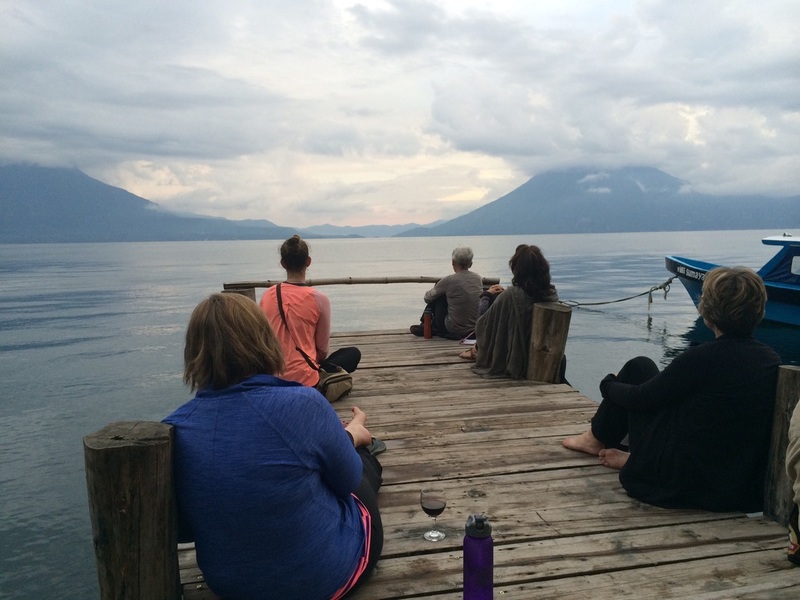 A short and beautiful boat ride from Panajachel, Villa Sumaya is a healing sanctuary amongst the ageless natural beauty of Mother Earth. Their cafe offers nourishing home-made vegetarian meals. Breakfast, lunch and dinner buffets are abundant. 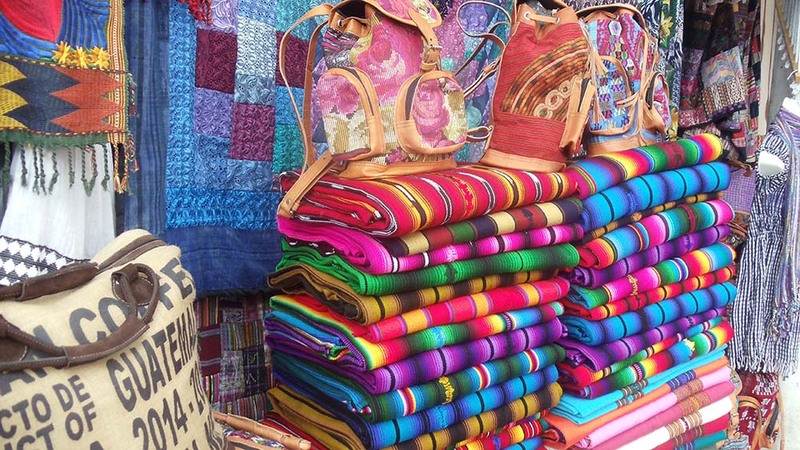 warm hearts and brightly colored, woven clothing and crafts. 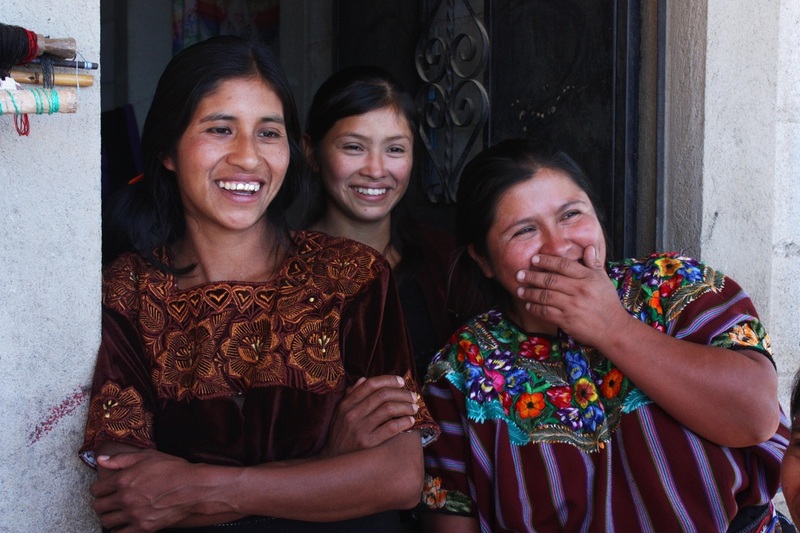 The farmers use the lake waters to grow coffee, corn, and the cactus-fruit pitaya. 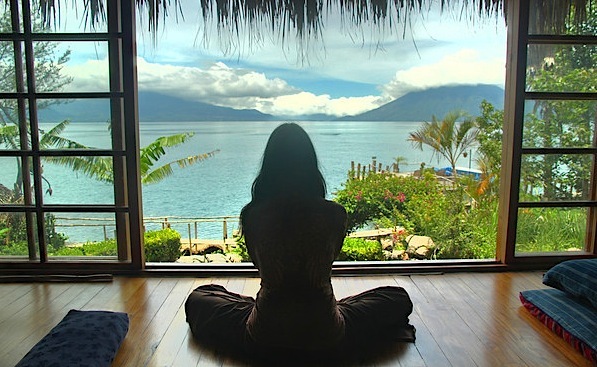 All of our rooms at Villa Sumaya have breathtaking views of the lake, natural decor, and relaxing outdoor spaces. 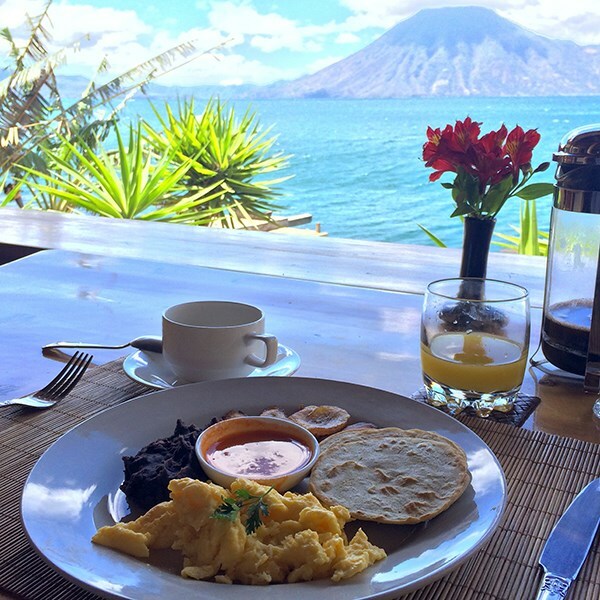 Walk out of your room onto your personal patio and take in the vistas of the verdant volcanos and the tranquil waters of Lake Atitlán. 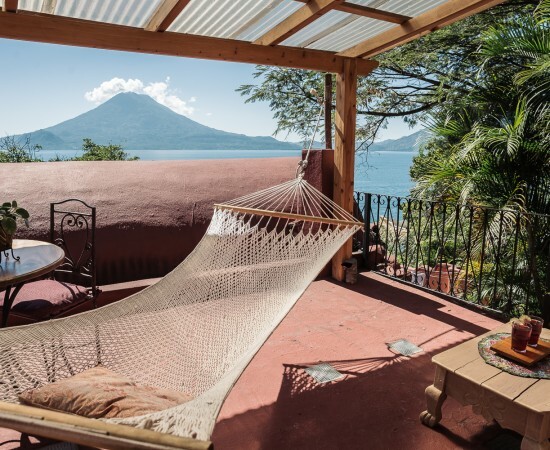 Each Maya Rose Suite or Bungalow Bedroom Suite has a private bathroom, an outdoor patio with clear views of Lake Atitlán, and an outdoor seating and living area. Most rooms can be arranged either with 1 Queen or 2 Twins beds to accommodate 1 or 2 guests. If you pay with a check or cash for the retreat we will offer a $50 discount/person. We are also offering Monthly Payment Plans. You can pay your retreat price (plus $100) over 4 months. Ranging from $460- $525 a person/month for 4 months. Contact Michael if you would like register with Monthly Payments (720-745-0184). 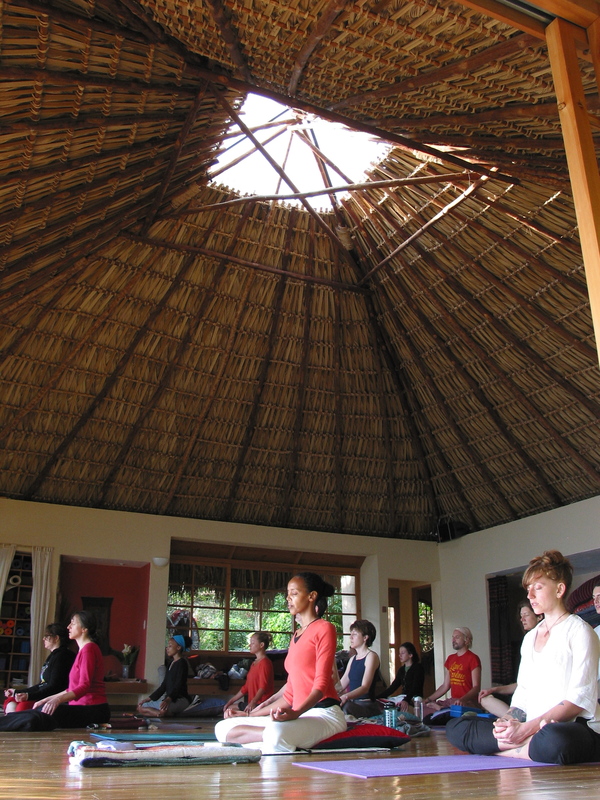 The Grace in the Heart: Healing Yoga Retreat starts Saturday, April 23 and ends Saturday April 30. We will arrange a pick-up and drop-off either from the airport in Guatemala City or Grand Tikal Futura Hotel (See Below). The Retreat officially starts at 12pm on Saturday, April 23 when we pick you up (pick-up time may vary). Your first included meal will be dinner Saturday, April 23 at Villa Sumaya, and your final included meal will be breakfast on the morning of April 30t. All is included expect airfare, additional spa and healing services, and WIFI internet. There are 2 complimentary, internet computers available for all guests at Villa Sumaya. You can purchase WIFI service for about $30. Huston. This means if you depart in the morning or earlier afternoon you will arrive in the evening. There are some Red-Eye flights that will depart Friday, April 22 and arrive in the later morning on Saturday April 23. Our strong recommendation is to book your flight to Guatemala City on Friday, April 22 and stay the night at the Grand Tikal Futura Hotel. For about $100 you will get a shuttle from the airport, a luxury room, spa access and nice buffet breakfast. The Retreat officially starts at 12pm on Saturday, April 23 when we pick you up either from the airport or Grand Tikal Futura Hotel (times may change slightly). When Katrina took her first yoga class 14 years ago she knew she had found her soul’s home. The practice of yoga has transformed her life so vastly that she left her 12 year career as a high school English teacher to pursue the practice wholeheartedly. She has taken two certified teacher trainings since then, numerous workshops with master teachers, opened Karma Yoga Center, and created a 200 hour Yoga Alliance Certified teacher training that she leads three times a year. Her teaching style is a heart-centered vinyasa (flow) with an emphasis on the spiritual aspects of the practice. She is a student of Saul David Raye, and Dr.Manoj Chalom. Katrina subscribes deeply to the practice of Bhakti (devotional) yoga, tantric philosophy, and Vedic astrology. 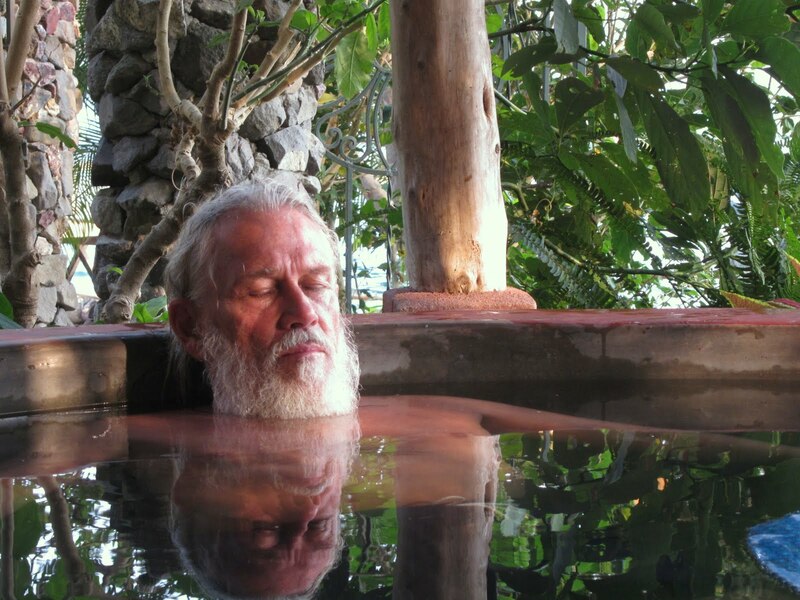 Michael is a certified yoga teacher and Shaman. 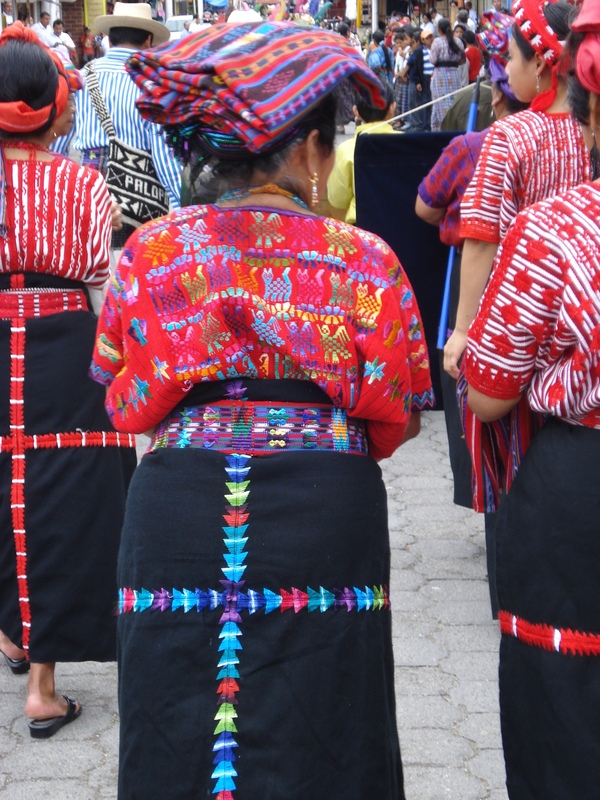 He weaves together the practices and wisdom of Bhakti Yoga with Mayan Shamanism. Initiated into the sacred wisdom of the Maya, Michael is the sole apprentice under elder, high priest and shaman Don Miguel Angel Vergara. Michael is also a professional musician and former tropical biologist. He will be providing the live music for the yoga classes and mediations, and guiding the group in ceremony and journey work. You can contact Michael or Katrina to talk about the retreat, travel plans, payment plans.